In 2003, I bought a ticket in Paris from a scalper to the French Open, aka Roland Garros, the second major tennis open of the year. Today, that’s no longer a viable option. Not that it ever was a legal one. You must plan a few months ahead (if you want to pay somewhat reasonable official prices) and bring a photo ID that matches your name on the ticket. Rules are much stricter now. Why not? I thought. “OK,” she said. “You get the tickets.” Sounded simple to me. My mistake. January 15 only the Presidents of the French Federation tennis clubs were permitted to order tickets. February 15, the Order Window was open only to members of the French Tennis Federation. March 15, the rest of us slobs could get tickets. All this done on the Internet. A little farther down the page, I was given the time the Order Window would open: 9:00 AM. A reasonable time, I thought. Not so fast a little man on my shoulder cautioned. That’s Paris time. It will be 3:00 AM in Washington. On March 14, my calendar flashed a reminder. Setting my alarm for 2:30 AM, making sure I was wide awake and ready to press all the right keys on my computer, I dragged myself out of bed and logged on to the web site. Cup of tea at my side. The Order Window flashed an electronic message: Not open at this time. “You are about to be admitted to the queue,” a notice popped up on my computer. Ten minutes early. I’ll probably wind up in the top ten. I congratulated myself. Then, the blessed notice that I was in the queue. A few more minutes and I will have my tickets and be back in bed. Not so fast, Yankee. There were ten thousand people ahead of me. With Gallic efficiency I was told my estimated wait time would be 90 minutes and, if I shut off my browser, I would go to the end of the line. So I sat in my underwear for 90 minutes staring at the computer screen, which noted my place in line every 15 minutes. Yes, I did get the tickets I wanted and, yes, it was worth the hassle. After all, tickets were completely sold out by 9:00 AM Washington, DC, time. I not only had the tickets but bragging rights. 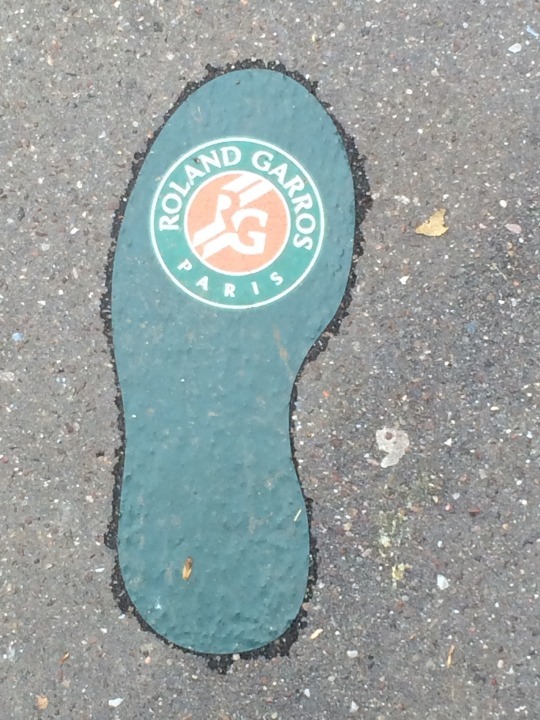 If you want tickets to Roland Garros 2016, plan ahead because within one day, 95% of seats are sold. Premium packages are available earlier, in January, but for single seats, check the website in the fall as the exact date in March varies slightly from year to year. Register in advance of buying tickets. You should get notification as to the day in March you can buy tickets, but best to check periodically yourself for updates. Remember to bring photo identification and a printout of your e-ticket to the stadium. For the admission rules: http://rolandgarros.fft-tickets.com/uk/ticket-info/e-tickets.